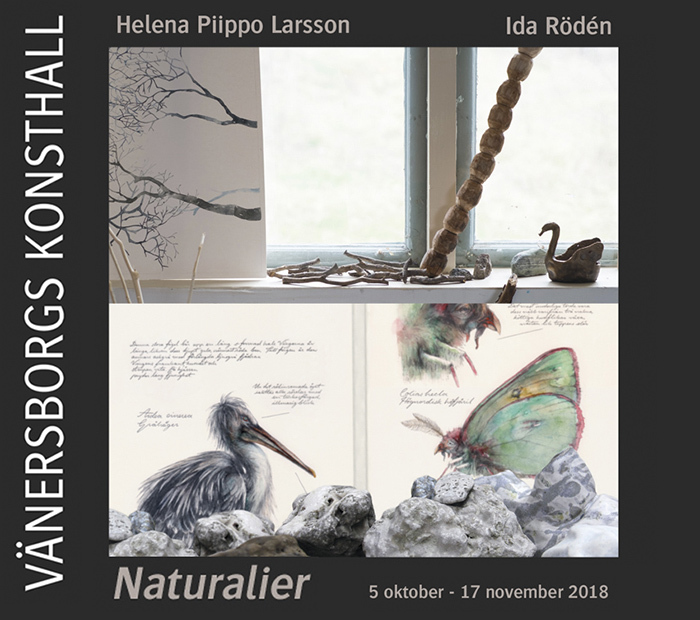 With an opening on October 5th I will participate in a two-person exhibition with artist Helena Piippo Larsson. As a starting point we have collected natural specimens – such as fossils, rocks, branches and pine cones. In Helena Piippo Larsson’s hands the often-overlooked components become thoroughly investigated and expanded. Through her drawings and bronze casts, the complexity of the small details is soon allowed to take over. Me, on the other hand, proceeds from fossils, stones and animal bones as I stretch the concept of truth. In the fictional character Jonas Falck – a misunderstood explorer from the late 18th century – I draw and sculpt a world inhabited by mutated animals and extinct sea creatures. “Naturalier” runs until November 17th.